Cebu Adventure Scuba Diving cebu philippines. 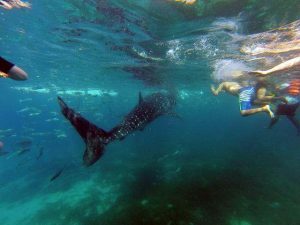 The south east of Cebu is now famous as the site of whale shark watching, in Tanawan, Oslob. It’s 140 km. away from Maribago, Mactan, with 3-4 hours travel by car.